Posted on January 28, 2019 January 29, 2019 in Press Release. 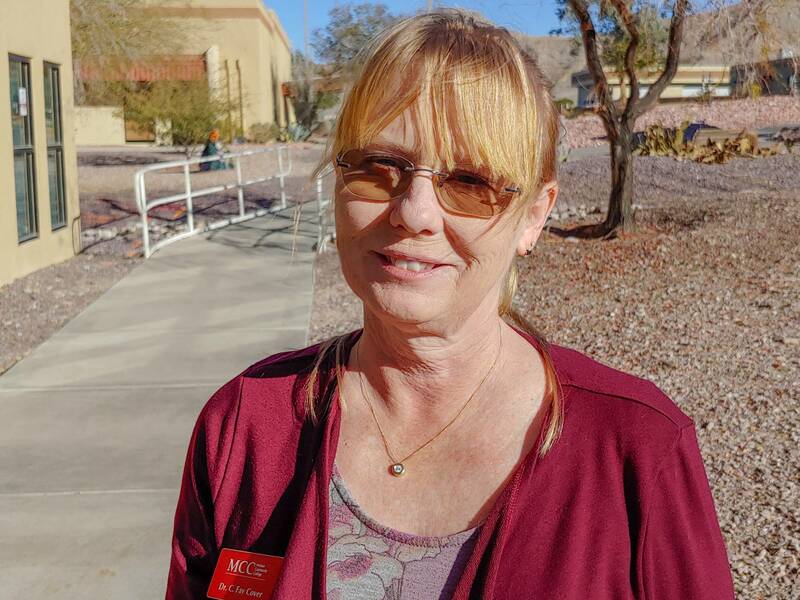 A Mohave Community College Faculty member has been informed that her research group’s work surrounding artificial intelligence has been published, and will be presented at a national symposium. MCC Computer Science Faculty Member Dr. Fay Cover has been part of a research group studying computer cognitive systems. Their work will be presented at the Association for the Advancement of Artificial Intelligence Spring Symposium series at Stanford University. Dr. Cover said she and her research partners have been studying the cognitive system of the robot Sophia. They examined what it would take for a robot to stop one task, address another, and then determine which task should take precedence. Dr. Cover said her group obtained positive results, but more research is needed. Dr. Cover joined the MCC Computer Science program in 2017. Previously, she was a professor at Adams State University in Alamosa, Colorado. “It was too cold there, I had to move, and I have family here in Arizona.” she said. Currently, MCC offers several computer industry associate degree and certificate options, including Computer Science, Computer Information Systems, Computer Graphics and Web Design, Cybersecurity and Network Support. For more information about the options available, go to www.Mohave.edu/CIS or call 1-866-MOHAVECC. Applying to be a student at MCC is free. 12 week classes start February 4. Below is video of Sophia at the biggest European festival on the future, Brain Bar 2018.